In recent decades, biomass materials occupy the prime position in the world’s energy supply mainly for the production of fuels. Depletion of fossil fuels consequences on climate change is the major reason for the use of renewable resources. Biomass-based fuels offer versatility because of its renewable nature and energy production occurs by two processes. The conversion of biomass can be done either by biochemical transformation or by thermo-conversion process. Thermo-conversion is a promising technology for the conversion that uses a different variety of biomass sources and converts them into a valuable product (heat, electricity, solid fuel, liquid fuel, and gas fuel), which is suitable for a variety of industrial applications. Biomass contains ample amount of carbon, hydrogen, and oxygen available in a variety of sources. Additionally, biomass acts as a renewable feedstock for the biofuel generation, which can be an organic substitute to petroleum. 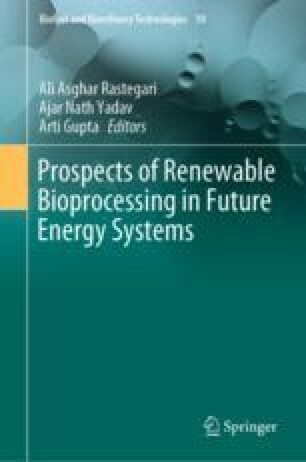 This chapter compiles about thermo-conversion process for the production of bio-oil and syngas using biomass and additionally, it presents a brief description of the types of thermo-conversion process employed in current research. The authors acknowledge both institutions for giving their constant support and encouraging the faculties to involve in research and development activities.